* You are going to adore this fabulous and functional House Kit. Perfect for any holiday or theme! 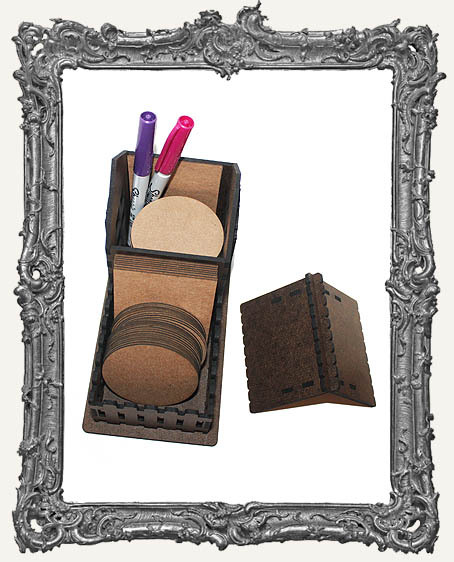 * Made of sturdy Masonite and is easy to assemble with just a bit of glue! Instructions included. * The roof can be lifted on and off and is held in place by gables when it's on. You can put Artist Trading Cards or Artist Trading Coins inside the fenced area AND inside the house! The house area is also great for holding markers, pens, and other tools. It can also hold washi tape, beads, and so much more. 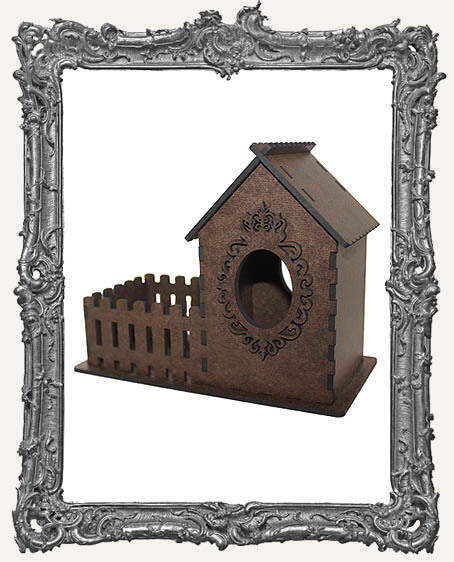 OR use the kit to create a fabulous little scene or assemblage piece. SO many possibilities with this kit! There are three different styles. You can also attach them by the bases vertically or horizontally to create an entire village! Our Artist Trading Card Blanks and Artist Trading Coin Blanks work perfectly in the completed kit! * The entire base measures approximately 7" x 3.75". The bottom of the fenced in area measures right around 3" x 3" and inside the house is around 2.75" x 2.75". Perfect for ATCs (coins and cards!). The outside of the house portion measures approximately 3" wide x 3" long x 5.5" tall including the roof. It's a nice substantial kit! The windows are on both sides and the two ornate crown window frames are included! * Endless possibilities - Paint, Ink, Distress, cover with papers, embellish, and much more! * Find all of the styles HERE.